We are delighted for the new partnership between Backlight Photo Festival and Jelgavas Tipogrāfija, a modern printing company, rich in traditions, specializing in production of soft and hard cover books. 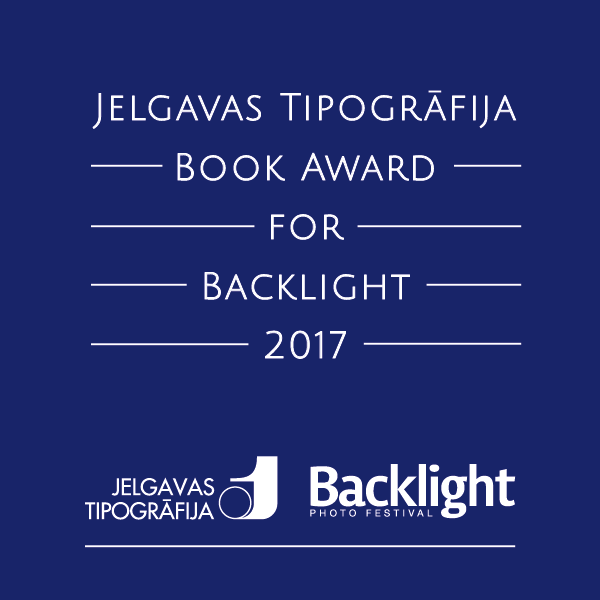 As the first step of this collaboration we have the pleasure to announce the special Jelgavas Tipogrāfija Book Award for Backlight 2017, which will be given as an Award for one artist selected by the Backlight portfolio reviewers team 2017 in Tampere, Finland. This Award is supported by our partner Jelgavas Tipogrāfija printing house in Latvia and it includes up to 1.500 Euros printing costs at Jelgavas Tipogrāfija and the artists travels and accommodation to Jelgava for the print start of the book. There is no restrictions for the age, gender or nationality of the winner. Deadline for submitting portfolios July 31. 2017. More information of the portfolio review here. More information of Jelgavas Tipogrāfija here.